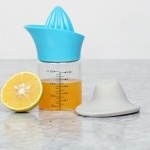 Designed to squeeze juice out from any lemons and other citrus fruits, this Lemon Juicer is a sturdy tool over which has a cone top over which you place your citrus half and twist. 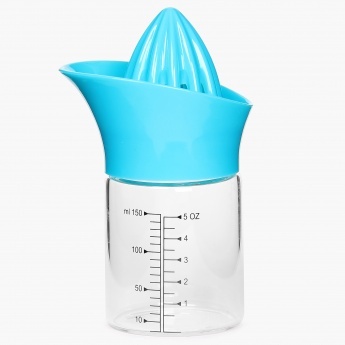 It has an integral strainer that separates seeds and pith, the juice gets deposited in the pitcher and can be served directly or stored. 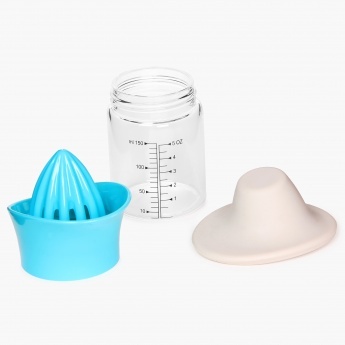 In addition it comes with a silicone cap that can also be used as a measuring device.